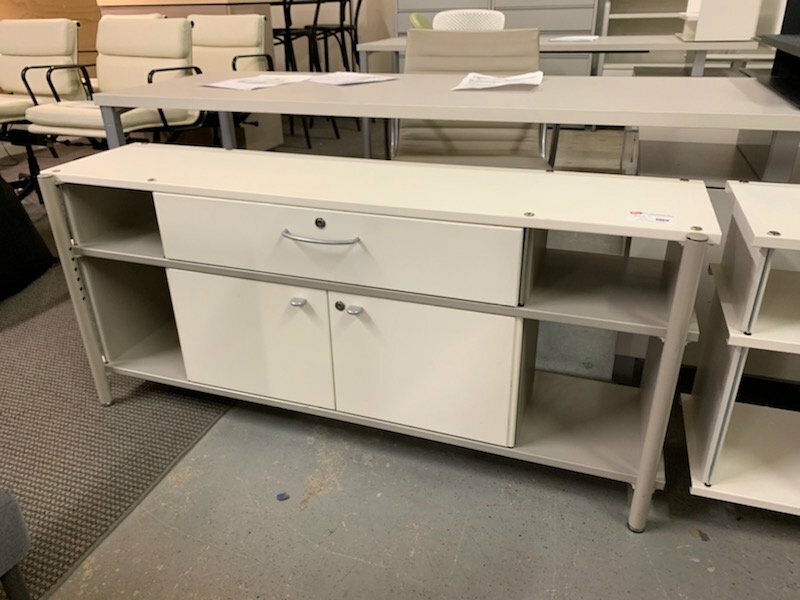 This storage credenza measures 54″-wide by 24″-high by 12″-deep. 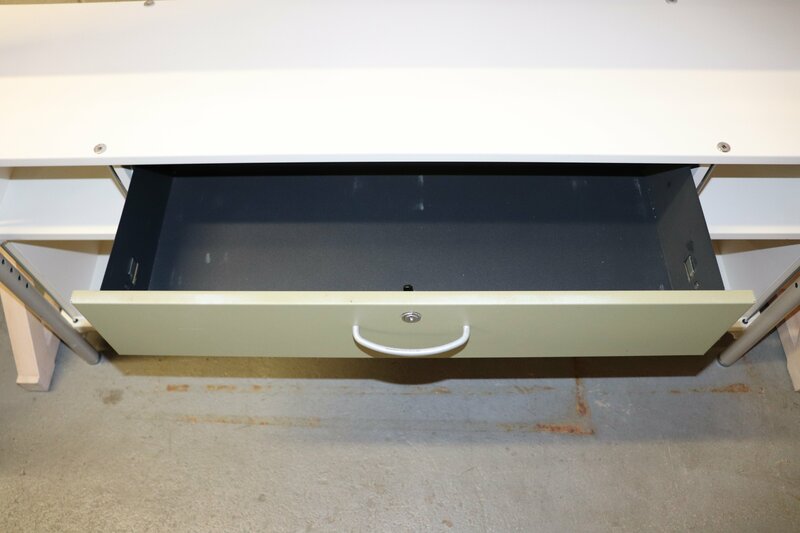 It has open storage or a 30″-wide drawer in the center and may have doors under the drawer. It has 2 9″-wide open shelves on each side of the center. Can be used alone or within a work area. 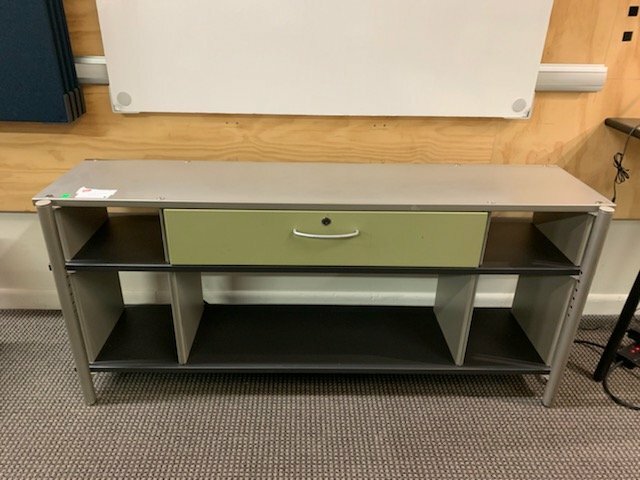 The credenza will fit under a standard desk height.